A few months ago, Professor Allen Downey of Olin College wrote to me about a DSP textbook he's working on at think-dsp.com. 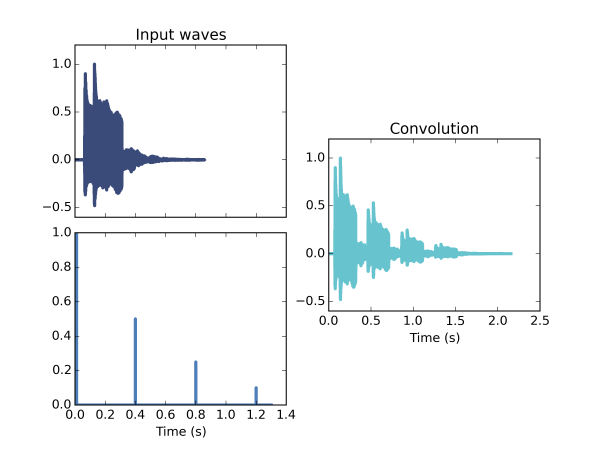 He sent me links to his chapter about the sampling theorem, plus a blog post with an iPython notebook for playing with sampling a bit. As he puts it, his approach is computational. Where many books on sampling and DSP in general throw a lot of dry equations at you without explaining much practical context (and I take the opposite approach, providing intuition and context, leaving the math out almost completely), he explores the practical arithmetic that gets us from point A to point B. "What happens if I do this..."
It's a slightly sneaky approach that builds up toward sampling through AM modulation (yes, as in AM radio), but this works toward a great illustration of how the Nyquist rate, the sampling theorem, and time-frequency duality aren't just sideshow theory, or a bag of cute tricks. They're practical truth that underlies nearly everything we do with signals and audio, even when we're neither sampling, nor working digitally. It's Out! It's Finally Out! "The second video from Xiph.Org explores multiple facets of digital audio signals and how they really behave in the real world. Sampling, quantization, dither, band-limiting, and vintage bench equipment all in one video!" Go see it! 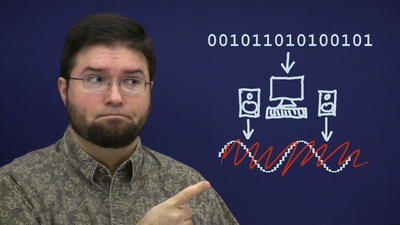 "A Digital Media Primer for Geeks"
At long, long last, the big video project is done! At least, the first episode, of what I hope to be many episodes over the next few years, is done. I present Xiph.Org's first self-produced educational documentary: "A Digital Media Primer for Geeks"
It also comes with it's own wiki discussion and 'further reading" site!